Asus Zenfone 3 Images Leaked on Red Dot 21! Asus has revealed the first look of Zenfone 3 on Red Dot 21. It came rather as a surpirse, since it’s rare to release product information on the web which aren’t publicly announced yet. Red Dot 21 is mostly about recognizing remarkable design work by giving out awards to designers, companies and products. Whether by accident or not, the leaked data about Asus’s 2016 flagship came to the site directly from the brand. 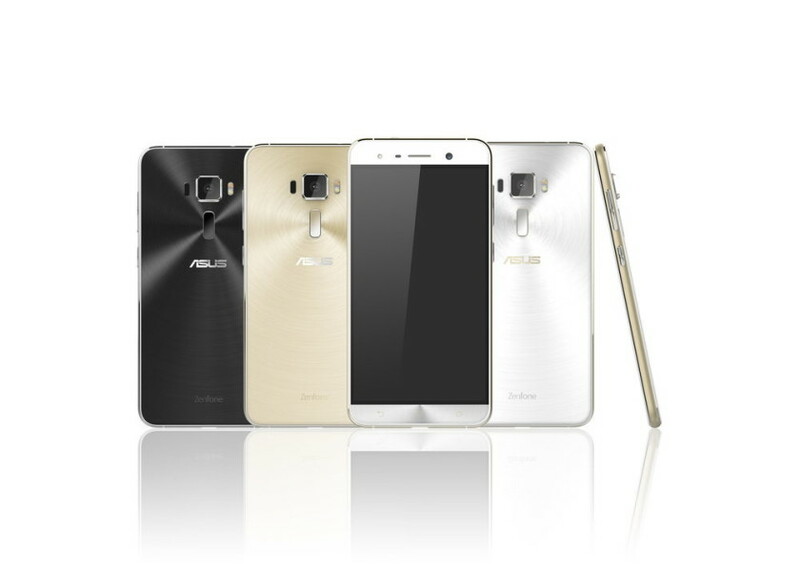 The leaked image shows a very good looking metal-frame phone in three colors – Black, White and Gold. Front, rear and side views are all included in this single image. Obviously, it gave away some of the key features of the smartphone. The most interesting one would be the LED camera flashes on both front and back sides. The rear camera unit seems anything but ordinary with its laser auto focus feature. 2.5D curved glasses on both sides could make the phone too slippery for a light grab. The aluminium finishing would probably provide a balance to that. The rectangular power button located on the back of the phone could easily be also a fingerprint scanner. A short description accompanying the leak mentioned a USB type-C port. There’s a listing available on the same website that introduces a model variant – Zenfone 3 Deluxe. This version separates itself from the former with a physical home button on the front. The listing specifies that the Zenfone 3 Deluxe would be the first ever full metal smartphone. It is said to be able to play radio without the requiring an audio jack. Additional details mentioned a Smart Flip Cover accessory with glowing edges. It could be something to be curious about considering the amount of emphasis Asus put on it. The specs of the flagship variants remain unknown. We can expect more leaks on these 2016 models soon since 1/4 of the year is already gone. The launching may take place at either Computex or IFA 2016. We’ll keep you updated! How would you rate the Asus Zenfone 3 based on merely its design? Share with us in the comments below! Should You Rent Computers To Fill The Gap During Extraordinary Situations?